I feel like summer is officially here esp with this fab weather.Todays post is VERY summery so pretty so fab just wait!! 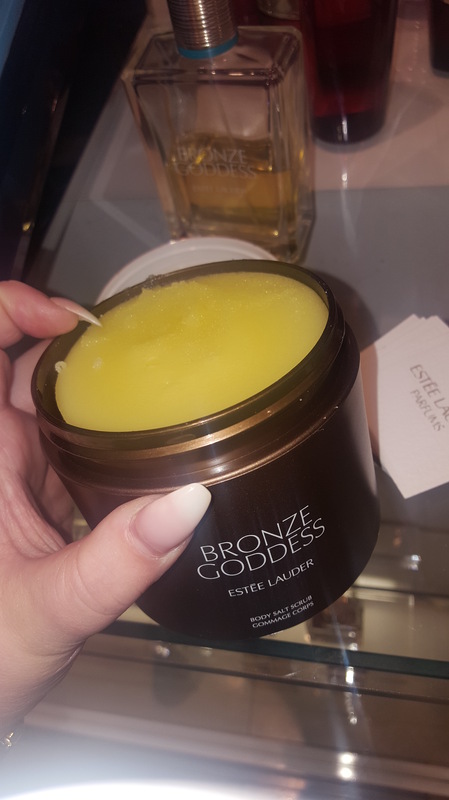 So Esteé Lauder come out with a Bronze Goddess Collection every summer but this years is out of this world I had to write a blogpost about it. 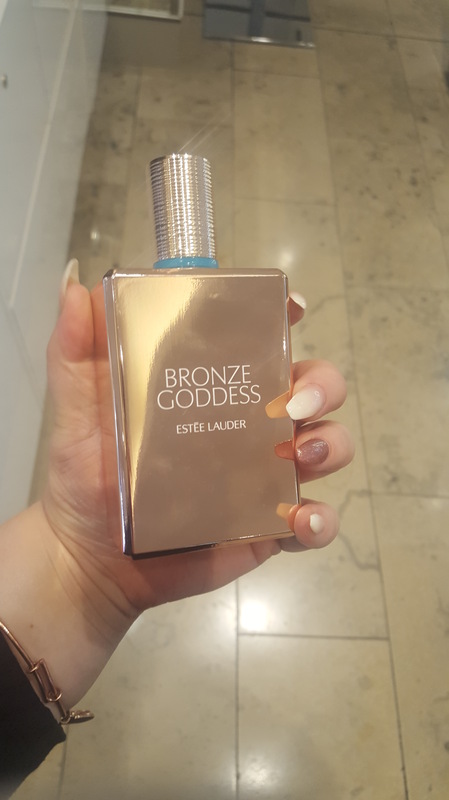 Another fave is the perfume.They come out with the original skinscent every year but this is a limited edition and its just so beautiful perfect for summer a light yet flattering scent. Then this is the original perfume smells like Malibo and summer in one. 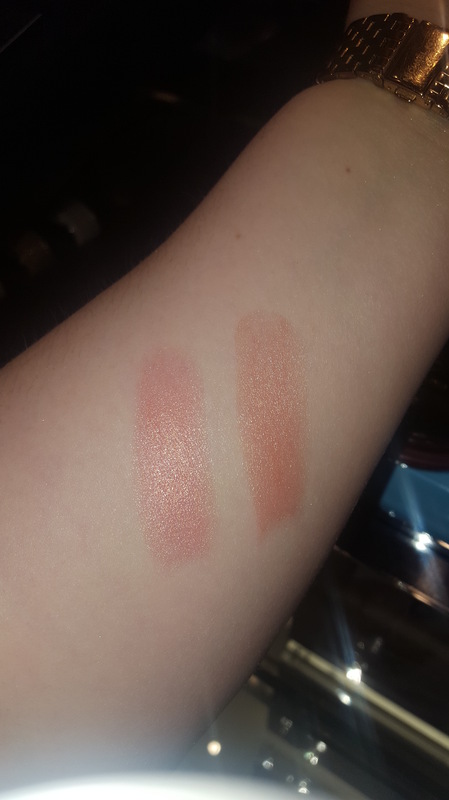 There is two lipsticks both creamy and hydrating perfect for beach makeup looks.Here is a swatch of both. 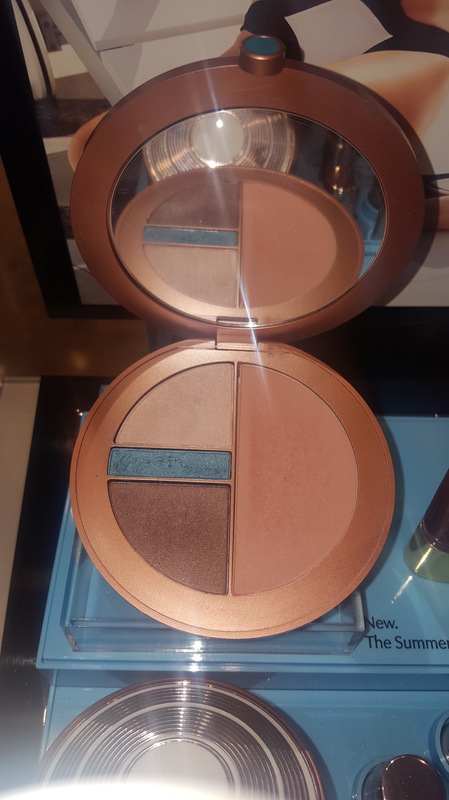 Then this baby, a palette that blush and them eyeshadows which is also a pretty highlighter oh perfect. 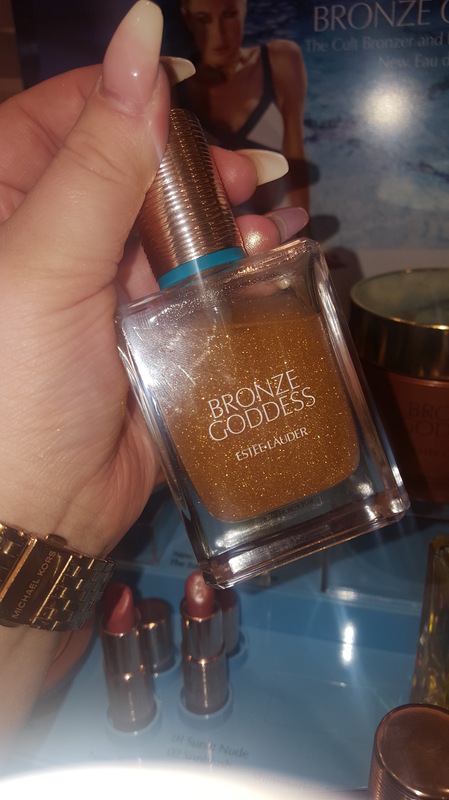 This also caught my eye its a shimmer oil for your body and hair so pretty for colar bones and legs here is how it looks altough It made my hair look a bit greasy when I sprayed it on my hair but I think I added too much PLUS it smells like the perfume.Let me bathe in it! Also dont forget to vote for me in “beauty beauty blog ” in the beauty blog awards it would mean the world! Next Post My sunny day off. This whole collection looks incredible! 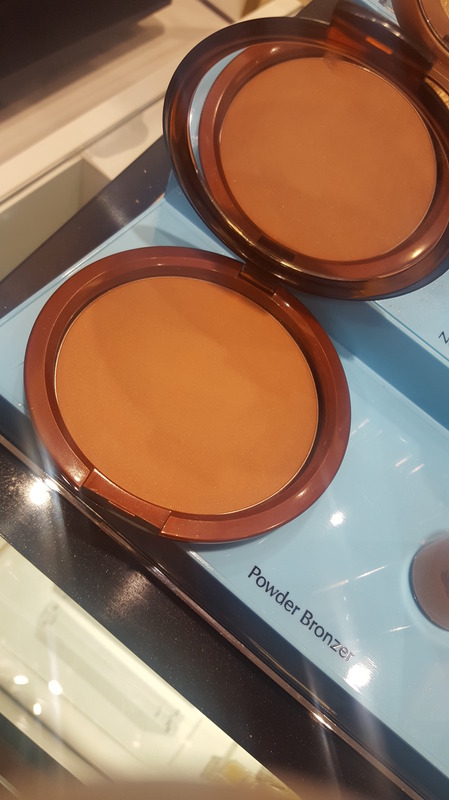 Especially that bronzer! 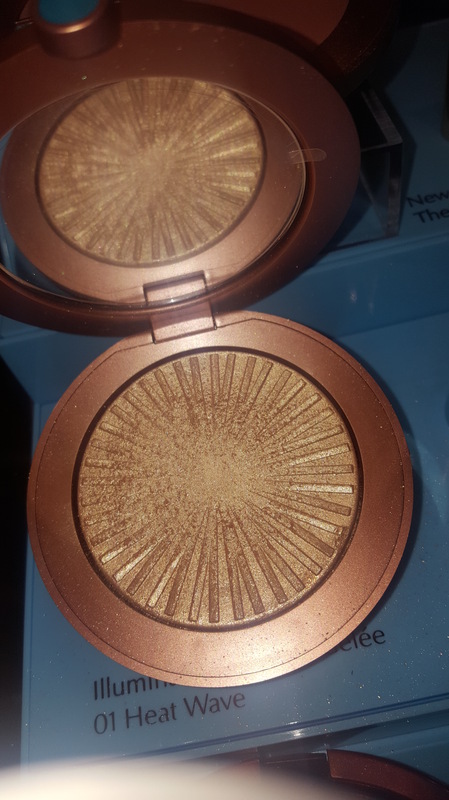 It looks so perfect for summer! 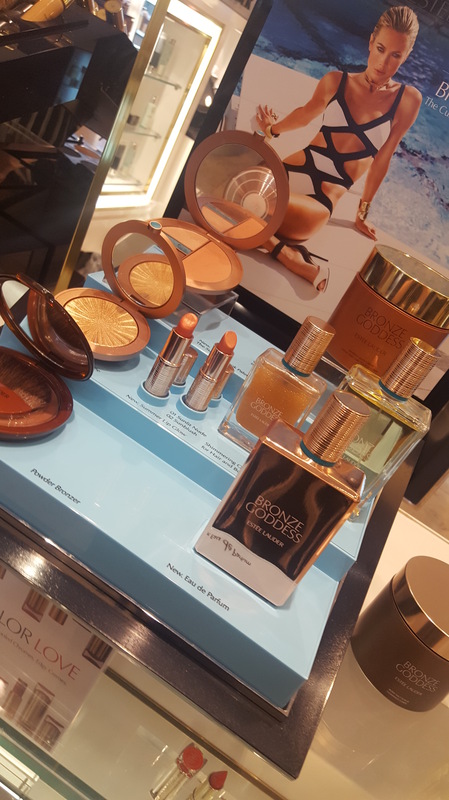 This is the perfect range for Summer! 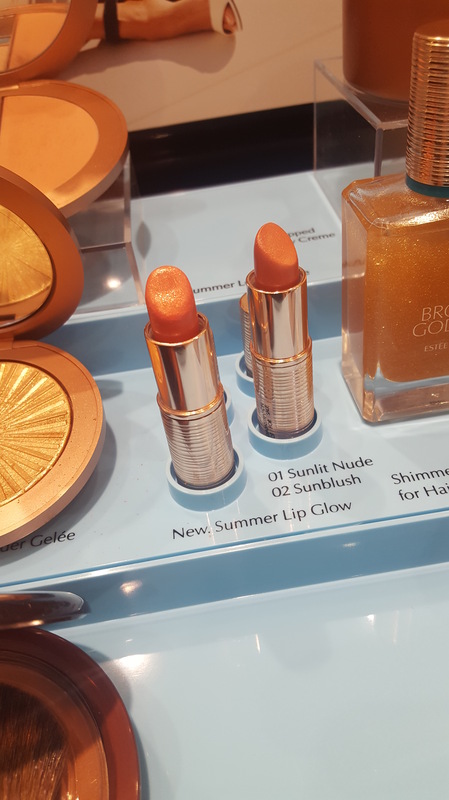 My friend was wearing the perfume and it truly is the scent for summer, I also love the lip glow shades! I bet they have been creating that collection all year! 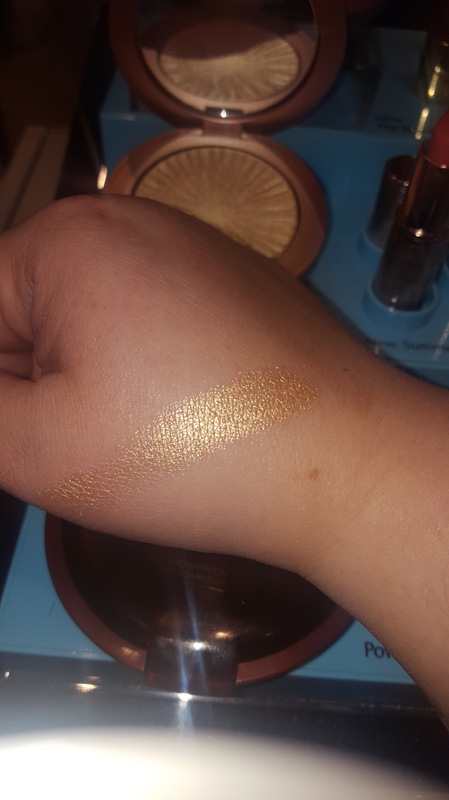 Everything looks so pigmented and perfect!